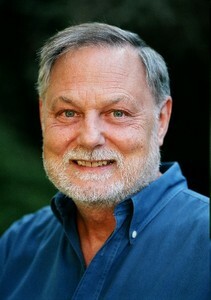 Duane Elgin is an internationally recognized author, speaker, media activist, and consultant. Over the last three decades, Elgin has explored diverse topics – including the evolution of consciousness, media transparency and accountability, and sustainable living – showing that humanity can work toward a compassionate and creative earth community. Elgin has co-founded three non-profit organizations dedicated to media accountability; worked with the think-tank, SRI International, as a senior social scientist; and worked as a senior staff member of a joint Presidential-Congressional Commission on the American Future. His books include Voluntary Simplicity: Toward a Way of Life that is Outwardly Simple, Inwardly Rich, Awakening Earth: Exploring the Evolution of Human Culture and Consciousness and Promise Ahead: A Vision of Hope and Action for Humanity's Future.